Sportsbetting.ag is one of the few sportsbooks online to accept customers from ALL 50 STATES in the U.S. In addition, it serves almost every other country in the world. As such, it’s a fine place to call your internet sportsbetting home regardless of where you live or the types of games you like to wager on. Click here to visit Sportsbetting.ag today! The rewards start out strong, and they keep coming steadily at Sportsbetting.ag. Upon making your initial deposit, you can claim a 75% bonus up to $1,000 through the use of the promo code SB1000. Read on to learn more about how to activate this bonus and the other promotional deals offered. With the bonus code SB1000, newly depositing users can get ahold of a 50% up to $1,000 sportsbook bonus. The process of claiming this bonus is easy. When you’re ready to fund your account, open up the deposit page, and fill in all the details. Remember to input the code SB1000 in the appropriate field so that you can score your complimentary bonus cash. If you want to max out the bonus at the highest possible value, then you’ll need to deposit $1,334, which will grant you $1,000 in free cash. The minimum permitted deposit to activate the SB1000 code is $25. Depositing via either Skrill of Neteller will make you ineligible for this bonus deal. Before being able to withdraw any of your bonus funds or winnings, you’ll have to complete the conditions associated with the SB1000 promo code. The total of your amount deposited, bonus, and any deposit fees must be rolled over 12 times. Even if you speedily finish all the wagering required, you will be restricted from making any withdrawals from your account for a period of 30 days after your deposit. When determining how much you’ve bet on a given wager, it’s the lesser of the risk and reward amounts that’s considered. For instance, if you risk $50 to win $100, then your remaining rollover will be reduced by $50. If on the other hand, you bet $200 to win $125, then your outstanding wagering obligations will be decreased by $125. Bonus moneys are intended for use in the sportsbook only. They cannot be deployed in the Racebook, Casino, Poker, Live Betting or Skill Games sections of the website. 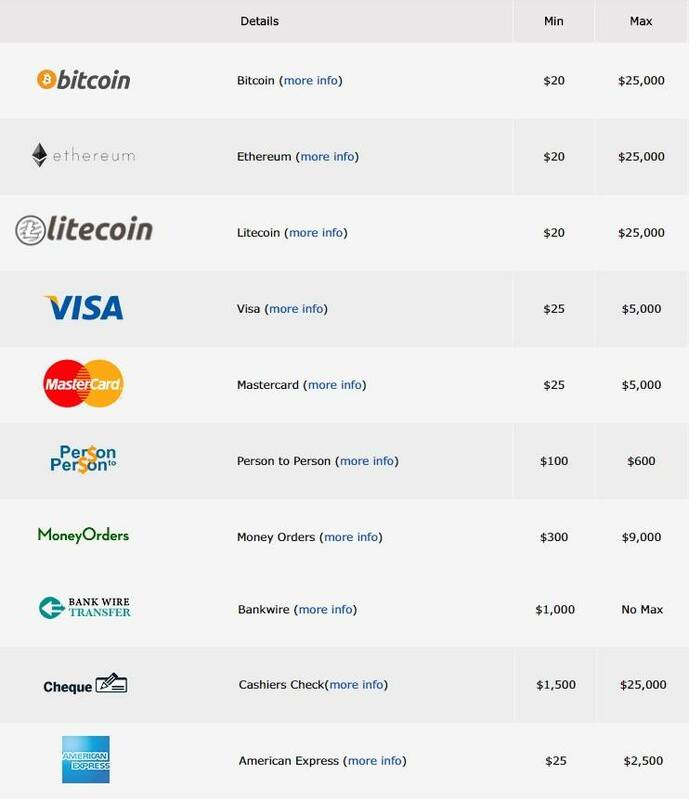 We highly recommend using one of the crypto-currencies in this list (Bitcoin, Litecoin, and Etheruem). They permit you to move money around online quickly and with low fees. 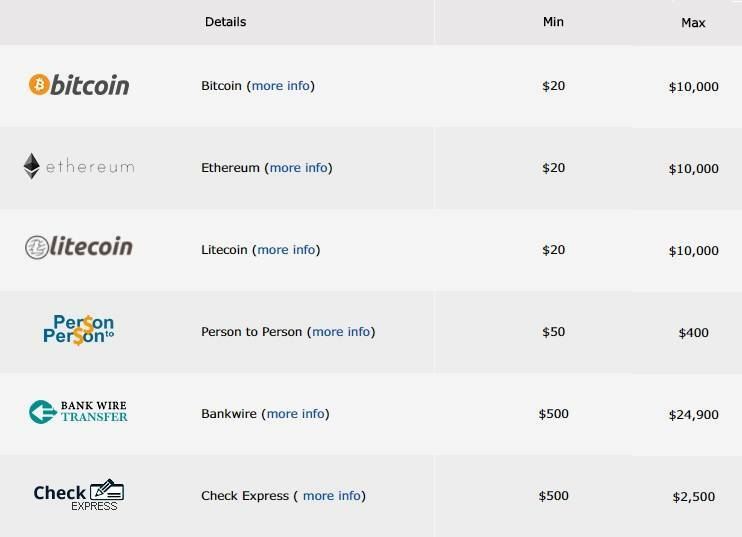 Other forms of deposit and particularly withdrawals sometimes comes with surcharges attached, and they tend to be slower than digital coins. Be aware, though, that there’s a special Bitcoin bonus that you might want to save for later so that you can collect both the normal signup bonus as well as the BTC-only one. Your first-ever deposit of between $20 and $1,000 through the crypto-currency Bitcoin qualifies you for a 100% bonus. You must enter the promo code 100CRYPTO to unlock this deal. The rollover associated with it is 14 x (deposit + bonus + fees). The other terms of this deal are identical to the welcome offer provided by the SB1000 bonus code. On your subsequent deposits of at least $50, you can avail yourself of a 25% bonus up to $1,000 with the promo code FORLIFE. As might be expected from the name of this bonus code, this opportunity is available for the entire life of your account whether you’re making your 2nd, 10th, or 100th deposit. There’s a 6x wagering requirement associated with this bonus, and the rest of the rules are identical to those of the welcome bonus. When you create an account at Sportsbetting.ag, you’ll get a personalized referral link that you can send to your friends. For every one of them who deposits at least $25 and either rolls it over once or keeps it in his or her account for 30 days, you’ll obtain a $100 free play. This free play is subject to a 5x roll over. Unlike with normal bonuses, free plays don’t return your stake back when you use them; only the win amount, if any, will be credited back to your real money balance. You must complete the playthrough requirements within 60 days. There are poker and casino RAF specials available too, and they each come with differing wagering totals appropriate for the specific product. Place your first bet in the Live betting platform for $25 or more, and if it’s not a winner, you’ll get back your stake of up to $25 as a free play. If your first wager loses, simply email freeplay@sportsbetting.ag with the subject “$25 Live free bet.” Include your ticket number and account number within the email. Your free play will be issued within 48 hours and comes with a 6x rollover. Make your initial wager via the mobile interface, and if it loses, you’ll be entitled to claim a free play for the amount you lost up to a max of $50. To take advantage of this deal, you must email freeplay@SportsBetting.ag and include the subject “$50 Mobile Free Play.” Put your account number and ticket number in the body of your message. The free play will appear in your account within two days. It needs to be bet through six times before requesting a payout. The betting action at SB.ag takes place right in your web browser, so there’s no need to download or install anything. 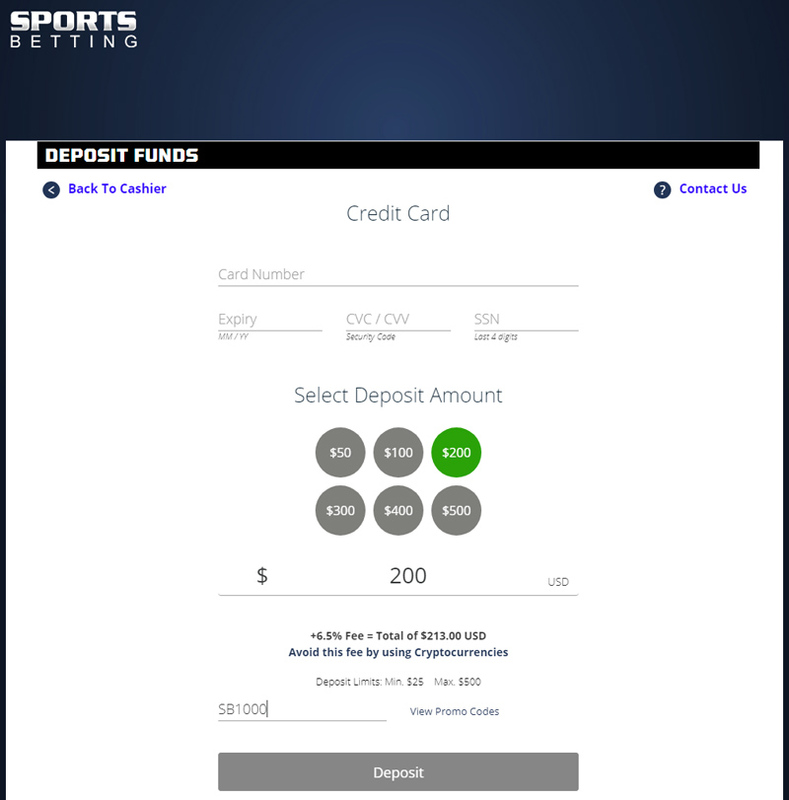 Upon logging into your account, you’ll be presented with the main sportsbetting screen. A list of sports will be contained on the left, the games and various wager possibilities in the center, and the betslip on the right. To place a bet, choose the sport and league that you’re interested in. Then select your pick from the information shown in the middle of the window. In some cases, there will be more options available for a match, which will be indicated by a “+” sign that you can press to see them. Now click on the type of wager (Straight Bet, Parlay & Robin, IF Bet & Reverse, or Teaser & Pleaser) from the top of the betslip. 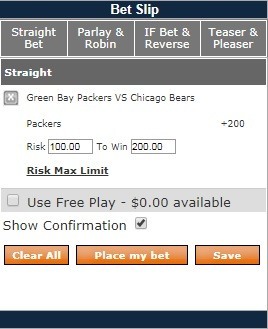 Then fill in the value of your bet, and check the box to use a free play if applicable. You’ll see the “Risk” and “To Win” amounts. Both of them must be at least $1 for your bet to be valid. Click on “Place my bet” to proceed. You’ll see a confirmation if you’ve selected that option, and then you’ll need to “Confirm Bet.” That’s all there is to it. Now sit back and watch the game to see if you’re a winner! Even after the game has already started, you can still risk your funds on it. This feature isn’t supported for all matches, but you will find enough options to keep you busy. As the action unfolds, the odds and betting opportunities will shift, so you’ll have to remain on your toes if you don’t want to be left behind. A simplified betslip reduces the amount of clicking you’ll have to do and lets you book multiple wagers at the same time. Mobile compatibility is a priority for Sportsbetting, so you can access the same functionality from your phone or tablet as you can from your desktop. It works with pretty much any screen size and system that has been released in the past few years. The site will detect when you’re trying to bet from a mobile, and it will automatically serve you a version of the webpage that’s optimized for smaller displays. Besides just betting with the funds you have in your account via your phone or tablet, you can also use the mobile page to make a deposit or withdrawal. There are several other wagering products supported, like casino and racebook, so you can engage in whatever form of real money gambling you wish to, right from the palm of your hand! You can also put your money down on your favorite eSports events, but they’re contained in a separate section apart from the main sportsbook, and the number of markets provided is pretty limited. You can contact support personnel 24/7 at SB.ag. The toll-free telephone number is 1-888-843-9027, and the email address is cs@sportsbetting.ag. Perhaps the most convenient way to get any issues resolved is through the Live Chat feature on the website. Get your bonus of up to $1,000 free! 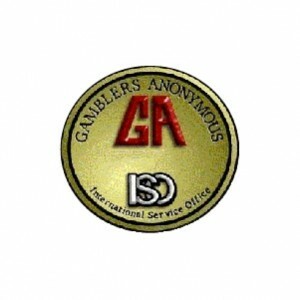 Read our review of the Sportsbetting.ag Casino here. 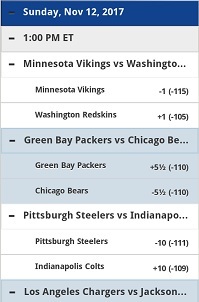 You can read more about the Sportsbetting.ag promo codes here. Leave your own review below! Goff and Gurley are going to do it!! Will be placing my playoff and SuperBowl bets here. Deposited with code 100CRYPTO and received the 100% bonus, thanks! Go Rams!